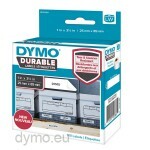 Dymo 1976200 Durable LabelWriter Labels 25x89mm. 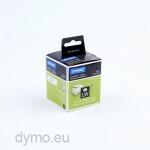 Polypropylene labels with strong adhesive. Contents: 1 roll with 100 labels. 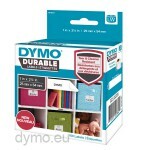 Dymo 1976200 durable LabelWriter labels, size 25x89mm. 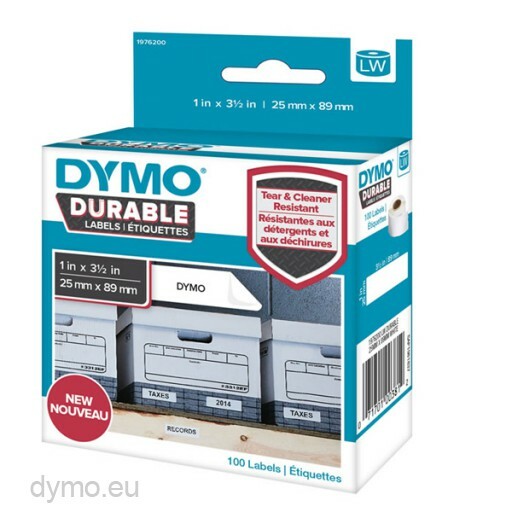 Contents 1 roll with 100 labels. 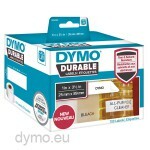 These Dymo durable labels can be used between -18° and 50° C.